Miguelito is from Brazil and is known for developing a fusion style music. He says he has always been interested in creating melodies and likes writing soundtracks for films. He has recorded with many musicians all over the world, and enjoys being in contact with them through the music he creates. He published his first vinyl recording in 1992, titled "Miguel Tatton Instrumental". In 2004 he released his second album in CD titled "Miguelito Instrumental"
As a producer, has worked with groups like "Soul Friends" to developed soul music, and the "Time Travellers" on rock projects. More recently, he has been working on his "Amazonia". Megilito is a "Nature lover", and says he "lives right among Brazilian Pantanal", and believes "every human being should plant at least one tree in their lifetime." Miguelito is the youngest from a family of musicians and began studying classical guitar at the age of eleven and learning piano at eighteen. He learned to play drums in a rock band, which he says was "forbidden" by his classical piano teacher. Like oil and vinegar, his teacher could see no coexistence of the two together. Early on, Miguelito became enamored with the "music life" and was drawn to creating instrumental songs, which reflected his passion for Jazz and Bossa Nova. He published his first vinyl recording in 1992, titled "Miguel Tatton Instrumental", with the French Jazz saxophonist Idris Boudrioua, guitarist Nelson Chagas and saxophonist Ivan Meyer. 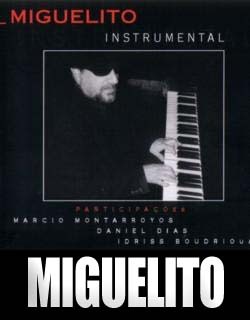 In 2004 he released his second album in CD titled "Miguelito Instrumental" with trumpeters Idris Boudrioua, Márcio Montarroyos, Daniel Dias and Miguelito’s two sons Alexandre Artioli on bass and Erik Artioli on drums. As a producer, has worked with groups like "Soul Friends" to developed soul music, and the "Time Travellers" on rock projects. More recently, he has been working on his "Amazonia" project, with several jazz musicians, including Robert Friedl and Celso Pixinga. Megilito is a "Nature lover", and says he "lives right among Brazilian Pantanal", and believes "every human being should plant at least one tree in their lifetime." "João Grefe and Miguelito Tatton met in 2008 intending to create a good old rock band, trying the most to follow the "old" way of composing, playing and recording, casting songs like "Fantasy", "The Call" and "Navigating". From this date on, they've been improving this work. 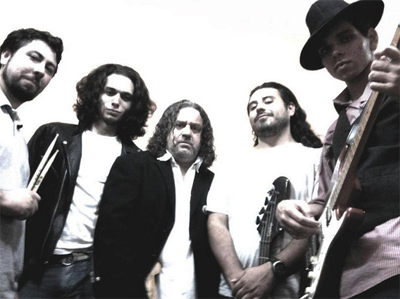 João Grefe and Miguelito are the Time Travellers, in a real Time Travel on these songs, which each one represents a different epoch, and a different style of rock. 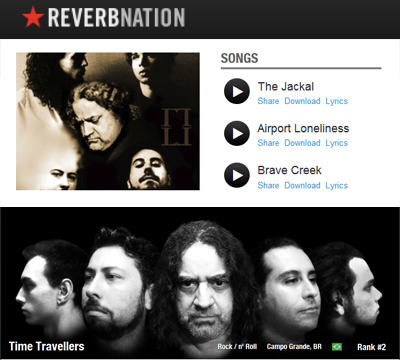 You'll find from Rockabillies to Metal nuances in their songs, music for all the tastes. I hope you like to travel in time!"